Sixty-three percent of respondents to a recent Yomiuri Shimbun survey think the nation’s preparations for the 2020 Tokyo Olympics and Paralympics are not going smoothly. In contrast, 33 percent of the respondents said preparations are progressing smoothly — almost double the 16 percent seen in a survey last year. However, the percentage of people with a negative view still accounted for more than half, although it had declined from the 82 percent seen last year. According to the latest survey on sports, conducted from Jan. 23 to Feb. 28 on 3,000 people nationwide, 81 percent of respondents said they were interested in the Tokyo Olympics and Paralympics, slightly down from 82 percent last year. However, the percentage of people who said they were very interested was 36 percent, falling for the second consecutive year from 39 percent in 2017 and 42 percent in 2016. 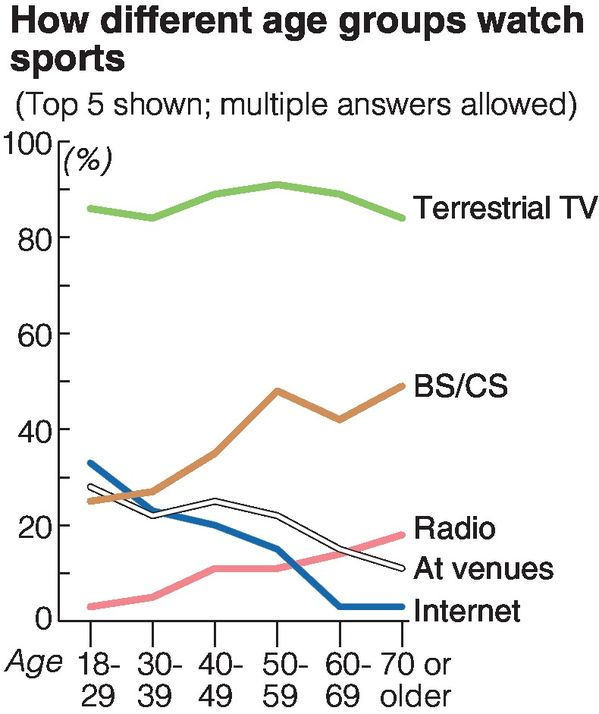 As for their favorite sports to watch (with multiple answers allowed), high school baseball was No. 1 with 47 percent, grabbing first place for the first time since the survey began in 1992. Questions were asked in person through 2014, after which they changed to interviews by mail. Professional baseball came in second with 46 percent.